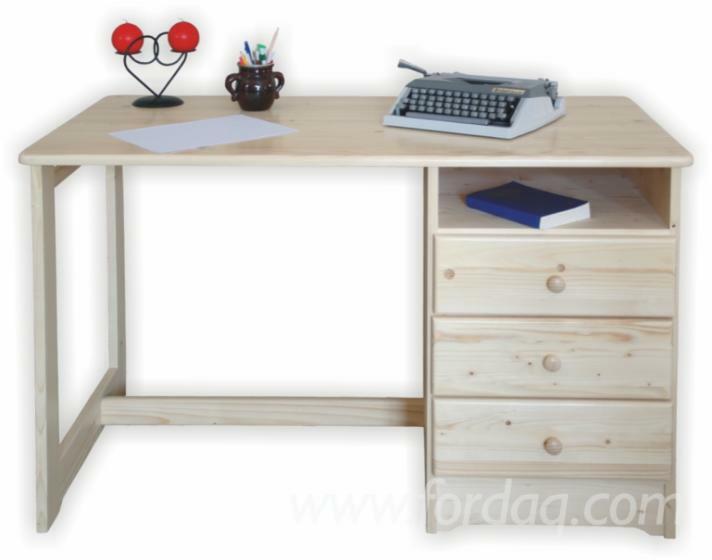 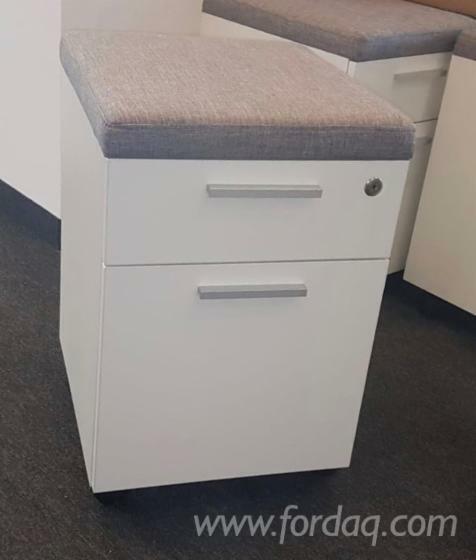 Chipboard office drawer unit with cushioned seating for extra seating when needed. 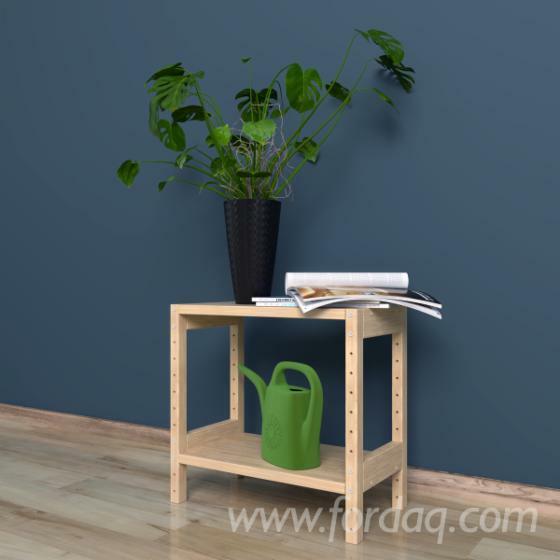 Model №2 - Shelving system 220x400x384 mm, one section, 2 shelves. 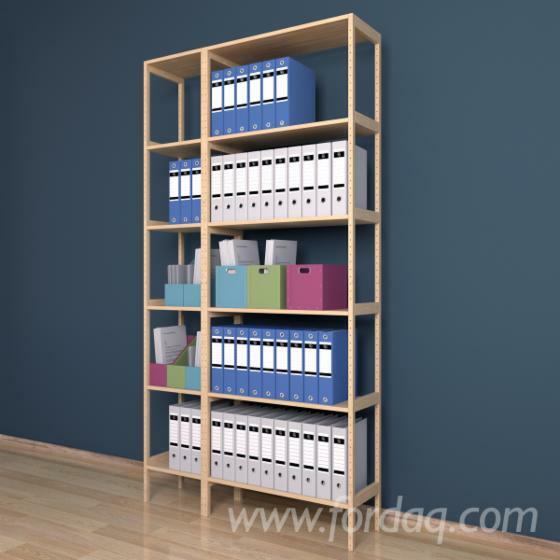 Model №1 - Shelving system 500x800x1920 mm, one section, 6 shelves. 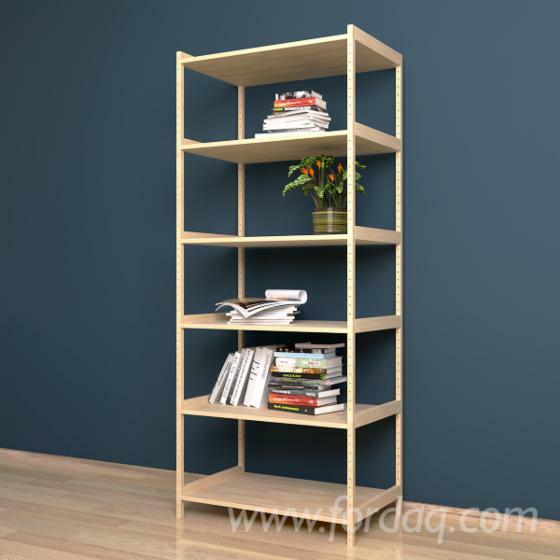 Model №.3 - Shelving system 300x1200x2304 mm, 2 sections, 12 shelves.